Who would tu want to end up with if tu were in Chuunibyou? Do tu hate when Yuuta a his hand on his face when he´s in DFM mode too? Which style of Rikka do tu prefer the most? la elección de los fans: With an eyepatch. Which Kumin do tu like the most? How did tu discover "Chuunibyou demo Koi ga Shitai!"? English title: Regardless of My Adolescent Delusions of Grandeur, I Want a Date! Synonyms title: Chu-2 Byo demo Koi ga Shitai! a poll se añadió: Who would tu want to end up with if tu were in Chuunibyou? 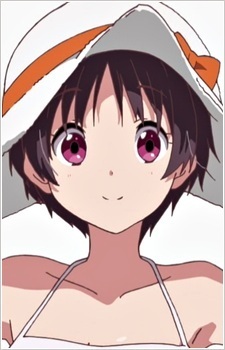 a poll se añadió: Which Kumin do tu like the most? a poll se añadió: Do tu hate when Yuuta a his hand on his face when he´s in DFM mode too? a pop quiz question se añadió: How did Yuuta Togashi gained his 8th-Grade Syndrome?